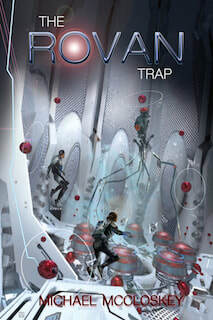 The Rovan Trap is the 13th book in the PIT series. The PIT team struggles to survive in all-too-close proximity with a Rovan battleship designed to exterminate all who fall into its trap. If the team cannot escape this uncaring death machine—who can save them? A 59,000 word science fiction adventure by Michael McCloskey. Subscribe to receive email when new books become available.